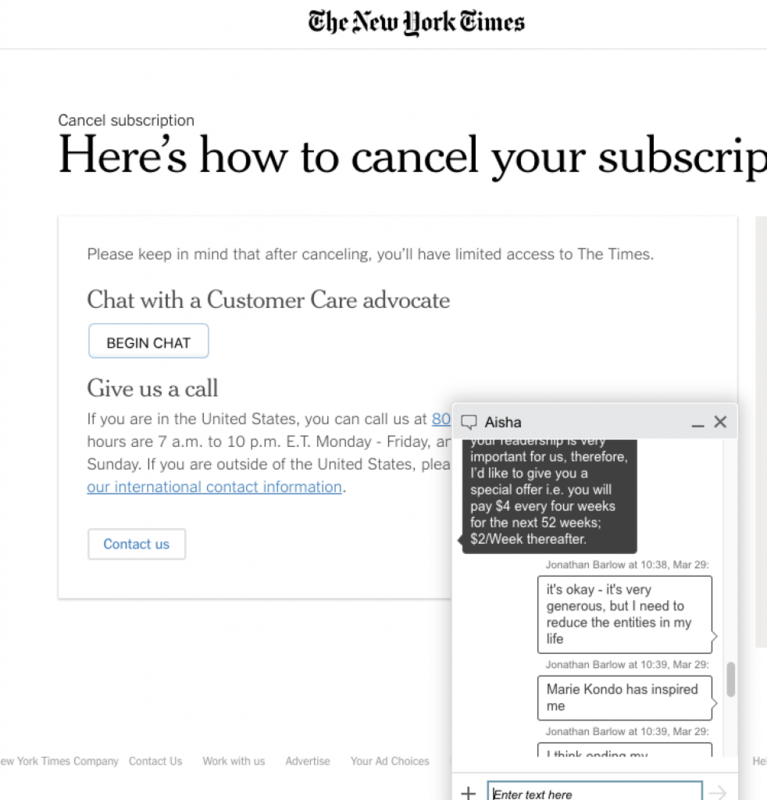 Wow, I’m going to call this the “Marie Kondo Alibi” when trying to cancel free trials with service providers. It worked like a charm with the NY Times. I really enjoyed watching this contractor’s video. It’s relaxing to see someone do a great job using the proper tools. You can see where he invested his capital in things that result in faster, better work. Take the scissor lift that is long enough to install long ceiling sections — that couldn’t have been cheap, but I’m sure any other company in his space that didn’t have one would take much longer to build a building and get paid for it. He never has to erect scaffolding, and the design of the building required very little cutting of boards or waste. As a kid, I “helped” my dad build a large open-sided equipment shed in Hermanville, MS and then later I worked on a house with a painting crew in Carriere, MS. Those were the only “new construction” experiences I’ve ever had. For our current house in Starkville, MS, we did tons of renovation (the house was an “as is” sale) but it has all been with existing limitations in place – corners that aren’t square, older building styles, etc. Watching this video and how easy it was for them to install a window was pretty attractive. On our current house, I’ve installed a sliding patio door (where previously there was just a wall) and a large casement window (where previously there was a tiny window.) In both cases, building the new header and straightening up the window was not easy. In addition, I had to take a lot of precautions to seal around the opening and wasn’t working with a house-wrap type environment. Notice that I bid 43 bucks near the end of the auction, then I got nervous and bid something kind of odd – 107.35. This way, I thought I would be sure to win. It looked like I was going to win and then a bunch of other people put in last-minute bids up to 41.00. 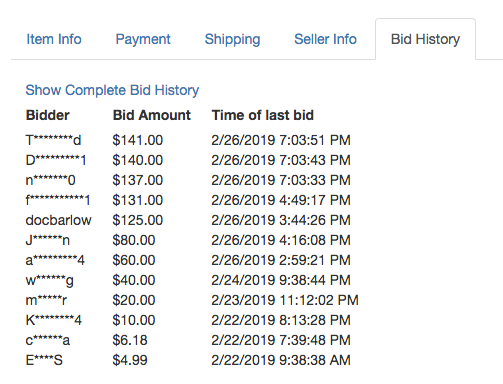 And then the winning guy bid exactly one more dollar than my bid – notice above that the “bid amount” and “item price” are the same. He didn’t bid 200 bucks just to ensure a victory, he beat me by one dollar and got it at that price. Now, how on earth did he know to bid 108.35? Either the Goodwill log above incorrectly states the price of his bid or he actually bid that amount. If it’s the former, they need to fix their website to maintain the appearance of propriety. If it’s the latter, somebody is either a really good guesser or they have insider knowledge. If they are bidding at the last minute based on insider knowledge, then I think that’s probably illegal. By the way, the device was a Tascam 424. It’s a famous multitrack recorder that was immortalized in the amazing song “Me and My 424” by John Vanderslice. Check out a live performance of it here. I suppose it goes without saying that if any of you dear readers have a working cassette-format multitrack recorder, I would love to rent it from you. I have some old masters that I recorded on a VestaFire MR-10 and I’d like to convert them to digital before they die. The VestaFire had dbx, so if your player has dbx, that’s a perfect fit for me. This is a humorous story in which one solution to a controversial cross on public land is to turn it into an (allegedly religiously neutral) obelisk!